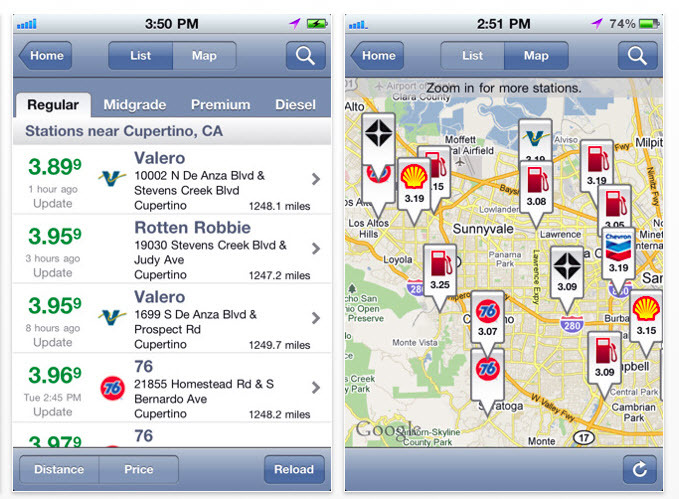 This free app easily finds the lowest prices right where you happen to be, via gps. Or you can plan ahead to where you’re going to be by typing in a zip code. I’ve found it has about a 90% accuracy which ain’t half bad. Give my dear buddy a try and save a buck or ten.